The PGA98H is a professional quality cardioid condenser microphone optimized for wind instruments, including woodwinds and brass. 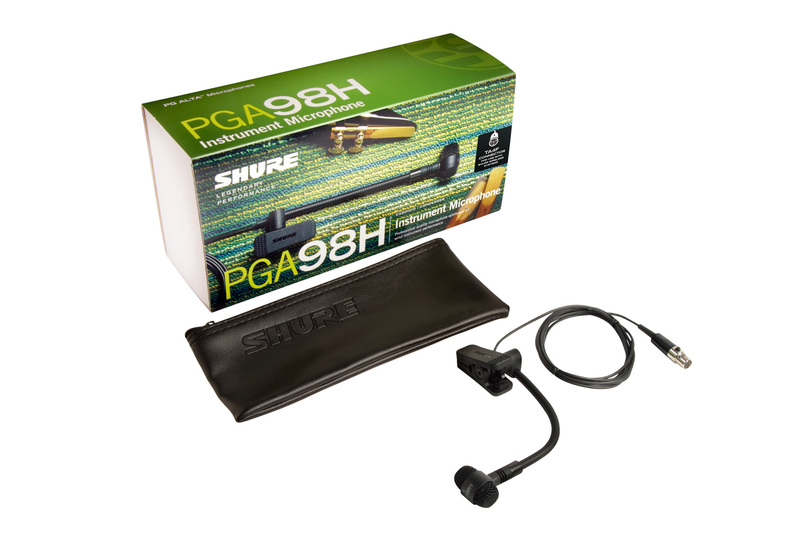 Featuring a flexible, discrete gooseneck design with highly durable construction, in-line preamplifier and horn clamp, and choice of XLR or TA4F connector for use with wireless systems, the PGA98H is ideal for both live performance and recording. Tailored microphone cartridge design for clear reproduction of wind instrument sound sources. Watch our video tutorials on Youtube!